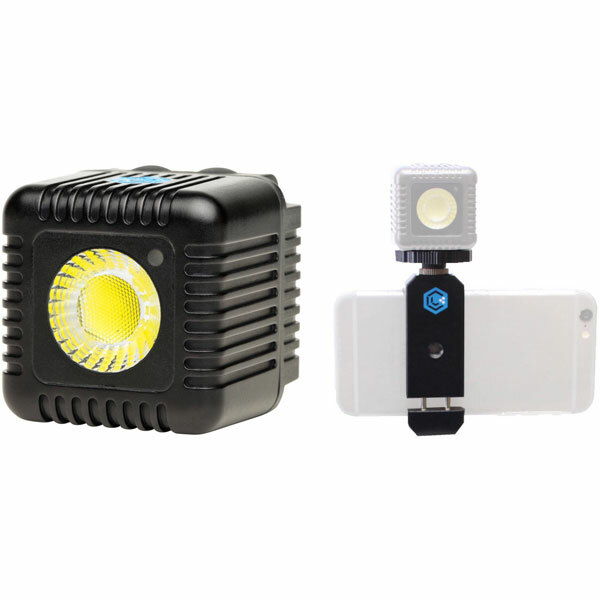 Lume Cube: a Bluetooth enable video light with 1500-lumen output. You can control multiple units independently or simultaneously. It is rechargeable and waterproof down to 100ft. The Lume Cube AIR has similar features and is ideal for travel vloggers. 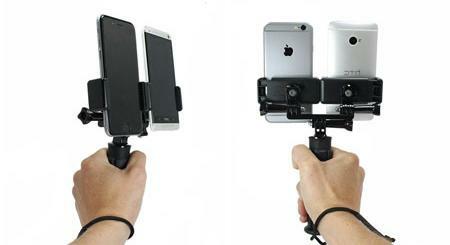 Luxli Cello 10″ RGBAW LED Light: another smartphone controlled video light with 150 colors. It lets you dim lights from 0% to 100%. It is powered by a NP-F750 battery. This version has 176 LEDs. 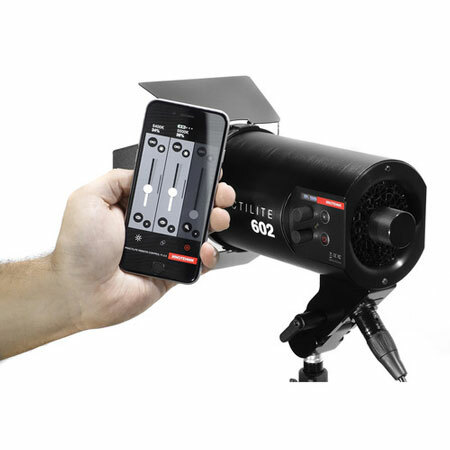 Kinotehnik Practilite 602 LED Fresnel: comes with iOS and Android control. It offers variable color from 3000 to 6000k and beam angle from 15-75. Luxli Timpani: a RGBAW LED Light with 2800-10,000K color temperature. It comes with 150 digital gens and 10 built-in animated lighting effects. 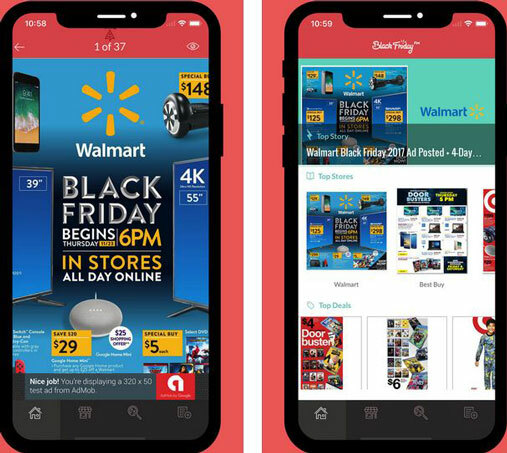 You can control it using a mobile app. Runs on AC or battery. 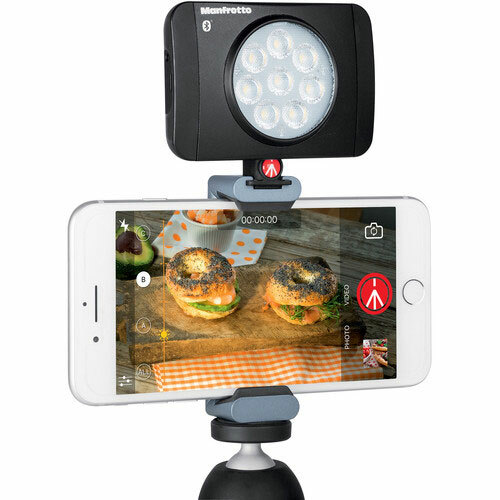 Manfrotto Lumimuse 8 On-Camera LED Light: can be controlled from your smartphone via Bluetooth. It comes with a clip-on filter holder too. It comes with a 1/4″-20 threaded mounting hole. 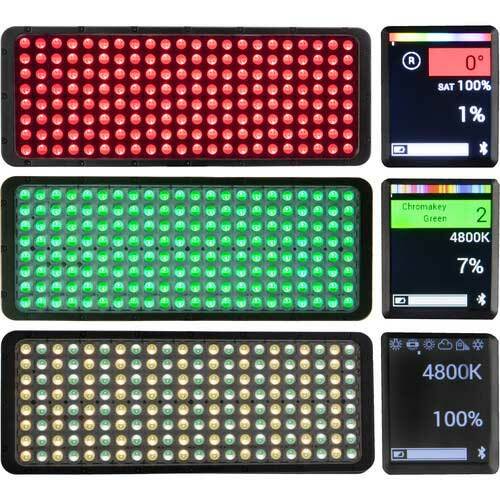 Have you found better quality smartphone controlled video lights? Please share them here.